Kirk Herbstreit: Right Now, UCF Is A More Complete Team Than OSU (And Oklahoma). 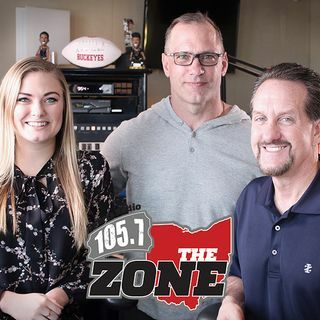 The Former Buckeye QB and Host of ESPN's "College Gameday" joined Bruce and Chris on Wednesday to discuss "The Game" and what it would mean for OSU to win Saturday at Ohio Stadium. Kirk believes OSU should be ranked BELOW UCF for the moment, but a Big Ten title would vault the Buckeyes over the Golden Knights in the final CFB Playoff standings.